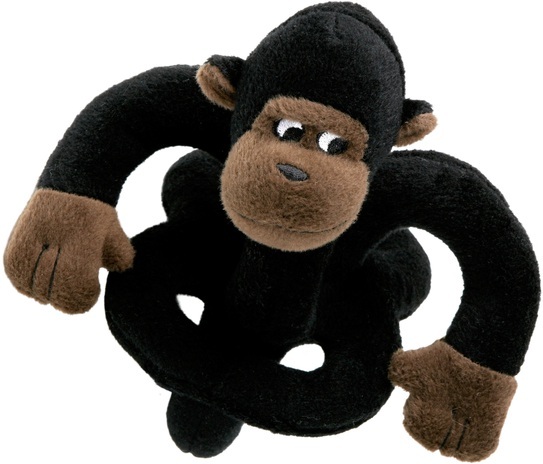 Available in Rooster, Gorilla, Cow, Duck and Dog, these talking Loopies have sound chips that make an appropriate animal noise when they are knocked or dropped. Watch your dog go wild when they hear a dog or a duck and confused when they hear a chimp calling. Equipped with 6 small separate squeakers in the large and a sound chip in both small and large that creates appropriate animal noise.